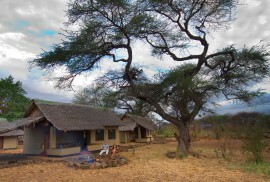 Kiwanjani is in the middle of the two Tsavo (east and west) and is the perfect choice for any visitor looking for a wildlife and bush experience in a remote part of Kenya. 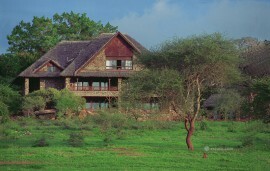 The lodge has magnificent wild views of the game reserves and is ideal for game visits, nature walks and bird watching. 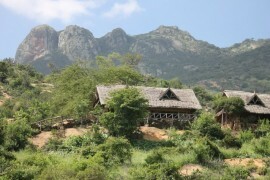 The secluded and spacious thatched cottages are a reflection of contemporary Africa combining the traditional African building style with the modern luxuries to create a true eco lodge in all aspects. 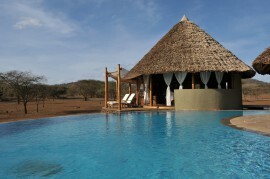 There is a tented conference room that is used for meetings, guest cooperate events and banquets among other services.